This custom built home has many upgrade. 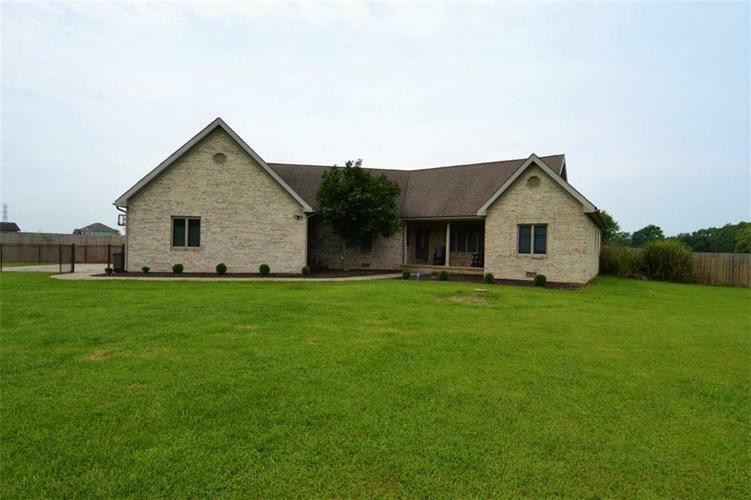 Working horse farm on over 5 acres in desired Pendleton School District. House features 4 bedrooms, 2.5 baths, remodeled master bathroom with tub and separate shower, updated flooring throughout, and updated appliances including brand new microwave and refrigerator. Barn consists of a 60x80 riding arena, 4 new stalls, a separate 30x48 storage barn that could be converted into living quarters, along with 6 pastures, and an outdoor arena with a Hot Walker. Barn sits on its own septic system and is RV friendly.